Zoe and I hosted a board-game afternoon a couple weeks ago. We'd planned to make some baked goods as snacks for the event, and ended up going a bit overboard. We ended up with Oatmeal Scones, Mixed Berry Scones, and Orange-Cranberry Bread. All three recipes came from "Americas Test Kitchen." 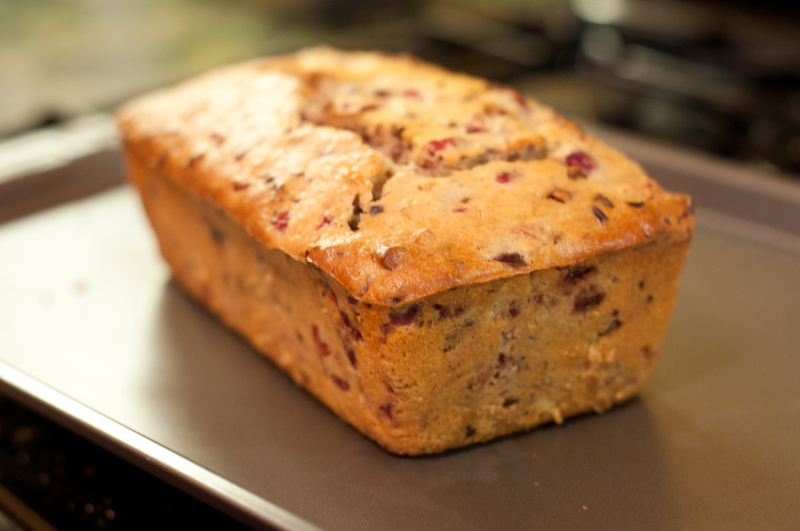 The bread was the first recipe at bat and was quick and easy. While that was in the oven we started on the first batch of scones. 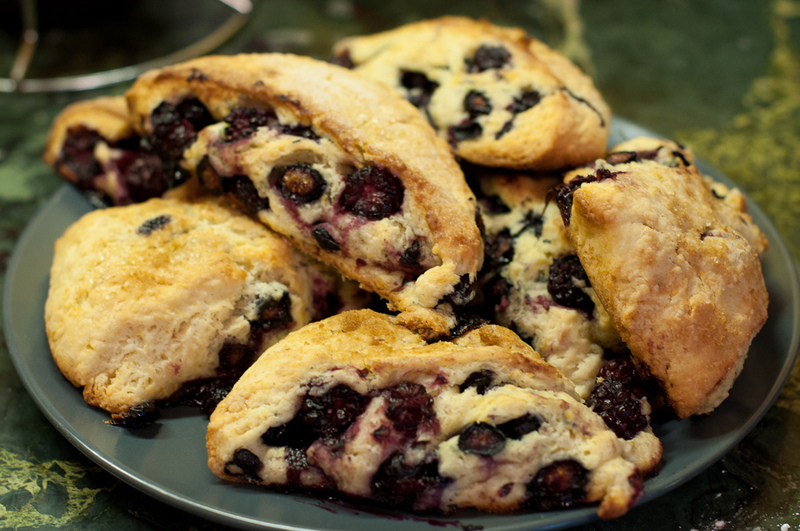 At the time we were planning on holding off on one of the sets of scones so decided to go with mixed berry scones. The recipe had an interesting suggestion for cold dough which is the best way I've heard yet that doesn't involve a food processor. Freeze 2x the number of sticks of butter you need then shred it on the large holes of a box grater. You can put it back in the freezer until you need it. This does have the downside of leaving a bunch of odd half sticks of butter around. 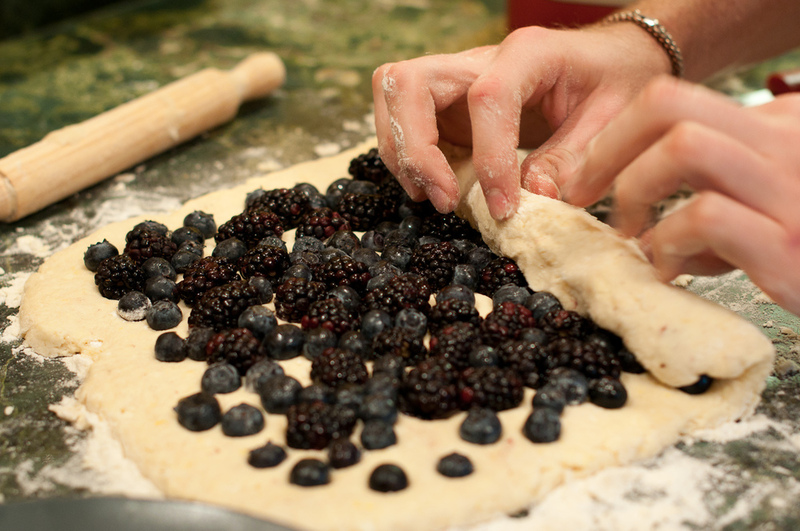 Rolling berries into dough seems like a good way to distribute them. After putting together the first batch of scones, I looked at the time and decided we should press ahead and work on the second batch. We slightly over-toasted the oats and there was juggling in the oven as we swapped out bread, and scones, and oats, and scones, etc. After all of the baking people trickled in and out for gaming for the next 7 or 8 hours. There was an attempt at playing Power Grid, and a game of Ticket to Ride. At one point a game of speed Settlers cropped up. I there was also a game of Dominion and a couple rounds of Nertz.